Situated on the western slope of Chestnut Ridge, the property climbs over 400 feet in a little over half a mile. The walk from the stream bank of Laurel Run to the top of a high, grassy knoll on the eastern end of the property tests the aerobic fitness of most visitors, myself included. Once atop the hill, a panoramic view to the west awaits. Sunsets here are magnificent, and on clear days the towers of the Pittsburgh skyline some 35 miles distant are clearly visible. Because our parcel is only part of a 200+ acre reclaimed strip mine, the property has hosted area-sensitive grassland birds for many years. 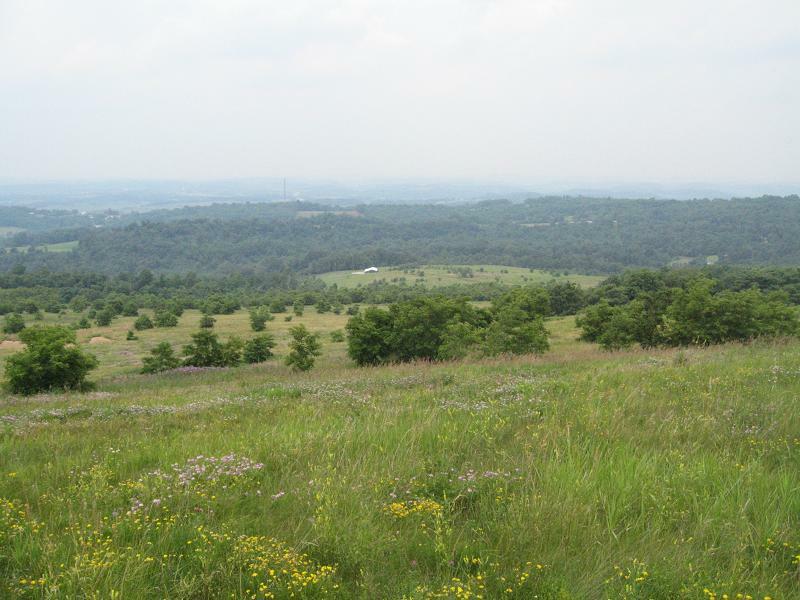 Recently, however, Black Locust, Tree-of-heaven, Autumn Olive, and other woody vegetation have been gradually shrinking the available habitat for these grassland specialists. To combat the loss of grassland habitat to succession, fight invasive species, and plant natives, we enrolled in the USDA Natural Resources Conservation Service Wildlife Habitat Incentive Program (WHIP). The cost-share assistance provided by this program has allowed us to begin restoring habitat on the property. We’re in the fourth year of our WHIP contract, and the restoration work is steadily progressing. I’ve added a new page, titled Sanctuary, to the main site, with a PayPal button so you can contribute to our efforts if you’d like to help us out! Look for more on the restoration progress and the biota of the property in upcoming posts!